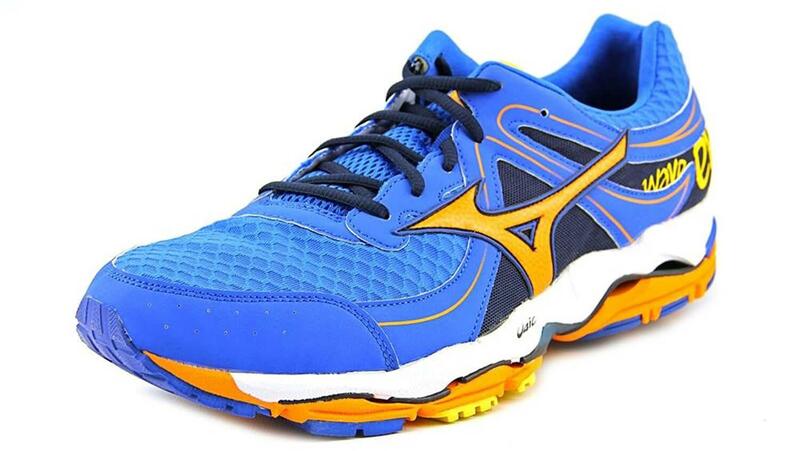 Mizuno Wave Enigma 3 Review - To Buy or Not in Apr 2019? Neutral shoes are designed and built to help support your feet while you pound the pavement for miles. With more cushioning than the average neutral shoe, though, the Mizuno Wave Enigma 3 feels much more like a cross between neutral shoes and those in the stability category. If you are looking for something that offers more support than a standard neutral shoe but still doesn’t over correct your form, this may be exactly the shoe for you. With classic Mizuno styling, including high contrast colors and the iconic Running Bird logo, these will look as good as they feel when you’re running on the local bike path or on the highway. The upper material is breathable and comfortable. The cushioning provides a plush run even on the roughest surfaces. The sole provides a large amount of flex to help you stay comfortable. The U4ic midsole provides a responsive feel. Heel to toe transition can be clunky and leave runners flat-footed. There is a large amount of control for a neutral shoe. The outsole of the Wave Enigma 3 is strong and built out Mizuno’s X10 carbon rubber that is an expanded version of previous Wave Enigma shoes. The material was designed to stand up to the road underneath you, no matter how tough the asphalt. With the Wave flex plates in the base, the shoe offers a solid platform for great support and creates a comfortable ride for any runner seeking more stability than in the standard neutral shoe. The Wave midsole system is unique to Mizuno. Offering a system of plates that make the heel a nice solid striking space to make even the hardest steps comfortable. The midsole also features the new U4ic foam which is the same as what is used in the Mizuno Wave Sayonara. This foam weighs less than the previous foam used by Mizuno and creates a quality responsive feel. The forefoot features a high level of padding as well, offering superior comfort for each step. The upper of the Wave Enigma 3 series has always been made of high-quality mesh with minimal overlays. This leads to a comfortable shoe that provides a high level of ventilation. The synthetic overlays create a secure hold on the runner’s foot. The upper does flex with the foot during each step, though, creating a high level of comfort and flexibility. The shoe weighs 11 ounces, putting it at a rather lightweight version of a neutral shoe. Given the low weight, one might expect less stability, but the weight loss actually comes from the unique foam as well as the light mesh upper. Even at 11 ounces, many runners find that the Wave Enigma 3 feels lighter than it actually is. This could be due to the breathability or general overall design of this high-quality shoe. The light mesh upper featuring minimal in the upper of the Enigma 3 overlays to allows for extra air movement. This is very similar to shoes like the Nike Air Zoom Vomero, which features an upper that allows for a great transfer of air from outside to in. Shoes in this style are built around comfort for the run, meaning that even if you are training on the hottest days, they can help keep you cool. The Wave Enigma 3 features a solid base with flex grooves cut into the sole. These grooves allow the shoe to move in ways that other neutral shoes do not. By offering the Wave plate system in the heel, this shoe creates a stable base for every heel strike and the U4ic foam absorbs shock during each and every step. The breathability of the upper on this shoe helps keep your foot well ventilated and comfortable. With air movement allowing you to stay cool, the Enigma 3 is an option that will keep you comfortable on the track during training or simply when you are taking the kids out for a walk. Mizuno shoes often are uniquely styled and include a high level of contrast between the iconic Running Bird logo and the often brightly colored upper. The Wave Enigma 3 is no different, featuring the classic combination of blue and orange in men’s and white with blue in women’s. These shoes appear similar to what you might imagine a classic running shoe to look like, with a lot of mesh visible showing just how breathable they are. With that said, however, these shoes fit in with a pair of jeans and a tee shirt just fine and don’t need to be relegated to pure gym use. The Mizuno name has long been known for the ability of their shoes to hold up even under the toughest circumstances. It doesn’t matter if they were designed for use on a nice long trail run or in a tough road race, the Enigma 3 won’t fold under the pressure when put to the test. With a tough outsole features multiple types of rubber designed to absorb and react to each shock, the shoe isn’t built for failure. The midsole’s foam will hold up to all the punishment you can give for miles and still offer rebound as if new. The Wave Enigma 3 features an upper built of mesh and select overlays designed to offer a tough covering for your entire foot. The lacing system will keep the shoe secure while the tongue padding will help you stay comfortable. The midsole’s layers of foam and the unique Wave system plate will keep you protected from the elements below as well. The outsole’s tough rubber bottom will grip even on the sketchiest surfaces and keep you moving forward. Responsiveness from a neutral shoe isn’t always a given, and the Wave Enigma 3 features enough support to borderline being a stability shoe. For those runners looking for a shoe that bends and flexes with every single crack or crevice in the ground, this shoe might not be the best option. For those that need a bit more structure to help with their running mechanics and form, these may fit the bill. While this lowers the shoe's rating in the responsiveness category, it does allow the shoe to serve a population that needs a less responsive and more structured shoe but also doesn’t need the full stability and support offered by motion control shoes. The Enigma 3 offers support and structure for neutral runners. This is a category where the Mizuno Enigma 3 won’t let you down. With a solid base built upon rubber, foam and the Wave plate system, the Enigma 3 is designed to support you even if you don’t realize you need support. When running on solid surfaces like the road or track, the midsole’s cushion and shock absorption will help support your foot when the ground under you is tougher than expected. The Mizuno Wave Enigma 3 was designed to stand up to the harshest roads and paths. Even when the blacktop under your feet feels unbearable, the cushioning and smooth ride of the Wave Enigma 3 will make it not only bearable but will allow you to move with comfort. With a durable rubber outsole that was designed to grip onto most terrain you will encounter, this shoe serves as a versatile option for road runners. The flex grooves also allow the shoe to flex around changing turf to create even more grip and traction. The Mizuno Wave Enigma series is not the highest priced road shoe out there, or even the highest priced Mizuno road shoe, but the price does come in on the higher end for many comparable shoes. The thing that often gets overlooked, however, is that if a shoe is more durable but costs a little more, it may actually work out to be cheaper per mile in the long run. Keeping cost per mile in mind, these road shoes stand up to each run and are a mark of quality in the Mizuno line. With shoes that last longer than their competition, especially those with a comfortable ride provided by the foam system in the midsole, paying a little extra might not be as much of a drawback as it might seem at first. The outsole of the Wave Enigma 3 offers a number of flex grooves to create a shoe that adjusts to the ground underneath your feet. Beyond this flexibility, the outsole also features a unique grip design built to connect with and grab onto the concrete and help push you forward. The upper’s synthetic overlays make a solid secure fit, which keeps your foot in just the right position to help you take advantage of the traction offered by the other parts of the shoe. The flex grooves that shape the outsole of this shoe, which are similar to those used in other Mizuno shoes, this shoe will adjust right along with your foot while you rock through your gait from heel to toe. The midsole’s foam will flex with your foot as well, meaning the ride will be smooth and comfortable while you move from heel to toe. The upper material, being thin but sturdy mesh, creates a flexible fit that stretches with your feet when needed. The synthetic overlays, however, create a secure fit that keeps you comfortable. With a shoe that is able to move with you while still offering support and stability, this is one that serves multiple roles at the same time and is very versatile. Neutral shoes create a tough stable surface that doesn’t over correct your movement. A far cry from zero drop and minimalist options, the Mizuno Enigma 3 is considered a neutral option, but that might not even be the most descriptive choice. Offering more motion stability than the standard neutral shoe, the structure is built to offer you more specifically a comfortable ride with a stiffer setup. If you need a stiff shoe with a solid base, though, the Enigma 3 is likely a good option. The Mizuno Wave Enigma 3 offers slightly less drop than many road shoes. With a heel thickness of 38.4 mm and a forefoot thickness of 26.6 mm, the drop measurement is 11.8 mm. This is designed so that when your foot strikes on the heel, there is enough cushion to keep you comfortable. As your foot rolls forward during each stride, the drop to forefoot creates a momentum filled move so you can get to your toes and spring off. •	The Wave plate system offers responsiveness and bounceback while creating a unique and comfortable base in the midsole. •	The Mizuno outsole is very durable and grips very well regardless of what surface is underneath. •	The Wave Enigma 3 is a road shoe that offers stability and a more neutral stride shape in comparison to full-on motion control shoes. •	The Enigma 3 offers high-quality design to give you a stylish and comfortable shoe. 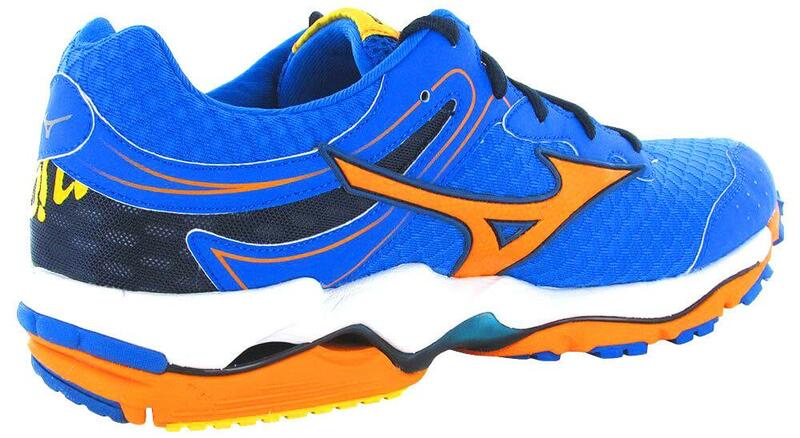 The Mizuno Wave Enigma 3 offers support and style to the neutral road runner. This helps keep your foot comfortable even when the ground underneath would generally offer a rough run. The tough X10 outsole features flex grooves that help the shoe conform to the ground underneath. The outsole is very durable and able to withstand daily use. The midsole is very well cushioned and features the U4ic foam to keep you comfortable, but it also features the unique Wave plate system to offer specific heel support as you strike the ground. The upper is made of high-quality breathable mesh and helps keep your feet both ventilated and protected from the elements. The synthetic overlays secure the upper of the foot and create a nice fit. With a traditional lacing system and a thick padded tongue and ankle collar, these shoes will offer comfort and security for mile after mile.